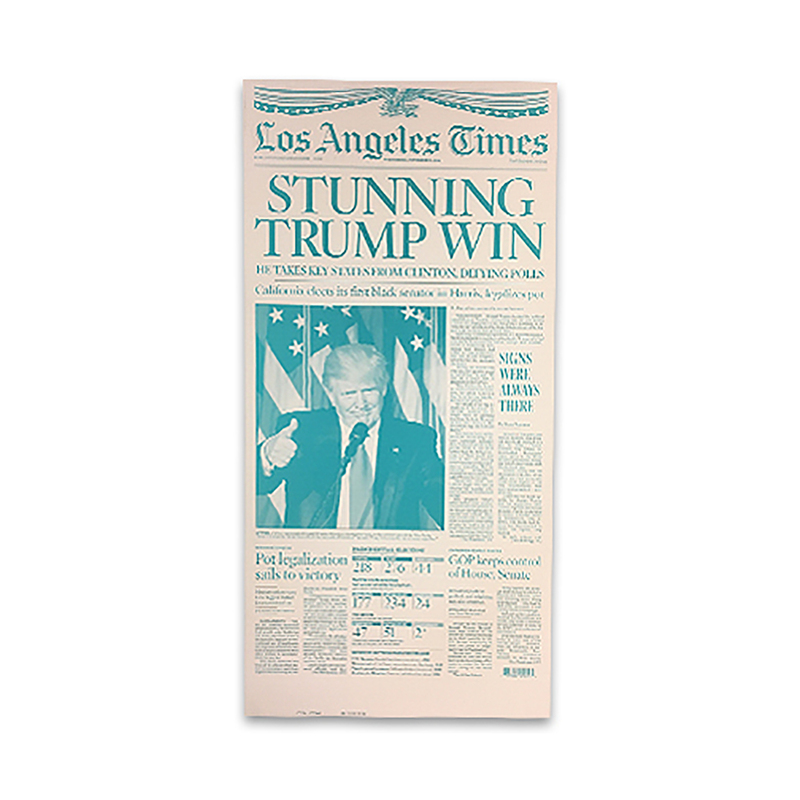 From November 9, 2016 Los Angeles Times limited edition exclusive announcing Donald Trump's election. 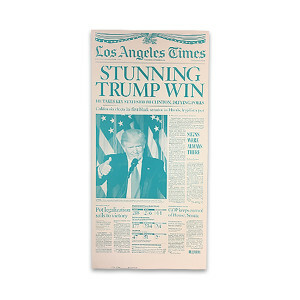 This "Stunning Trump Win" press plate is a replica of the front cover of the LA Times following the 2016 election results. Image is of printed page, printing plates are made of aluminum with blue, negative ink.